A judge has begun his summing up in the case of two people accused of the murder of a mother-of-three. 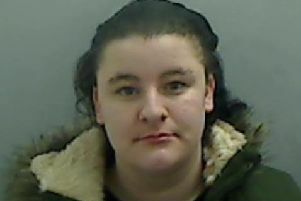 Torbjorn Kettlewell and Julie Wass have been standing trial at Teesside Crown Court in the last two weeks for the murder of Kelly Franklin, 29. Ms Franklin, the mother of Kettlewell's three children, was stabbed to death in a street attack in Hartlepool. Mr Justice Jacobs said the jury should decide the case only on the evidence heard in court. "This case could give rise to high emotion," the judge told the panel. "A young woman was stabbed to death in the street, and three children who are in foster care have lost their mother. Police investigations at the scene on Kelly Franklin's stabbing. "There will inevitably be an emotional reaction, but you should put that to one side and try the case dispassionately and fairly." The court heard Kettlewell admits stabbing Ms Franklin 30 times. He is pleading not guilty to murder on the basis of diminished responsibility. The jury was told for the defence of diminished responsibility open to be open to him, Kettlewell must have a serious abnormality of mind which was a substantial cause of the stabbing. Two psychiatrists found Kettlewell has 'mild personality traits', but his condition is not serious enough for him to qualify for a diagnosis of diminished responsibility. The judge told the jury they were not obliged to accept the word of every witness, but in the case of expert evidence they should have due regard to the expertise of the witness. Wass is charged with murder as a 'secondary party'. She is alleged to have helped Kettlewell find Ms Franklin on the night of the stabbing, knowing Kettlewell intended to harm her. Wass admits driving him away from the scene, but says she only did that because she was scared of him. Wass told police Kettlewell had done the stabbing shortly after it happened, but at that time she failed to say she had driven him to and from the scene. The judge told the jury that just because Wass had lied about some parts of her movements that evening, it didn't necessarily mean she was lying when she claimed she didn't know Kettlewell intended to harm Ms Franklin. The jury is expected to retire to consider its verdicts later this afternoon.